Chances are, you’ve asked this question before, but haven’t been willing to make a change from services offered by the phone company. Sure, VoIP technologies have been around as long as the Internet, but shoddy performance and expensive hardware has been a major sticking point for companies that make the transition away from a traditional phone system. Plus, if your internet services go down, so do your phone systems. Is there a sensible alternative? With modern smartphones and cloud-based file sharing services easily available, today’s working professional has fewer and fewer reasons to be tied to a traditional desk and phone workplace environment. Plus, companies that need to stay light and versatile can’t always afford the relocation or facilities costs that come with attracting the best talent available. That’s why it’s so important to be looking for alternatives to services you and your employees use on a daily basis. If this sounds similar to your scenario, a cloud-based voicemail service may be the right move to keep your business agile and moving forward. For those working in sales or as part of a larger global team, staying in touch with home base is crucial. In a study by Software Advice, small businesses are especially primed for a major boost in productivity by adopting a cloud-based voicemail system that’s accessible remotely. Especially useful for those with limited time (and who doesn’t fall into this category), having a text readout of voicemail messages that you can quickly scroll through and prioritize is a major improvement to sitting through seemingly endless voicemail messages after you return to your desk. Those who may have used a PBX system in the past may not be aware of the improvements made over the last several years, leading to advancements in call quality, transcription options, and greater access to important business messages no matter the device you’re using. 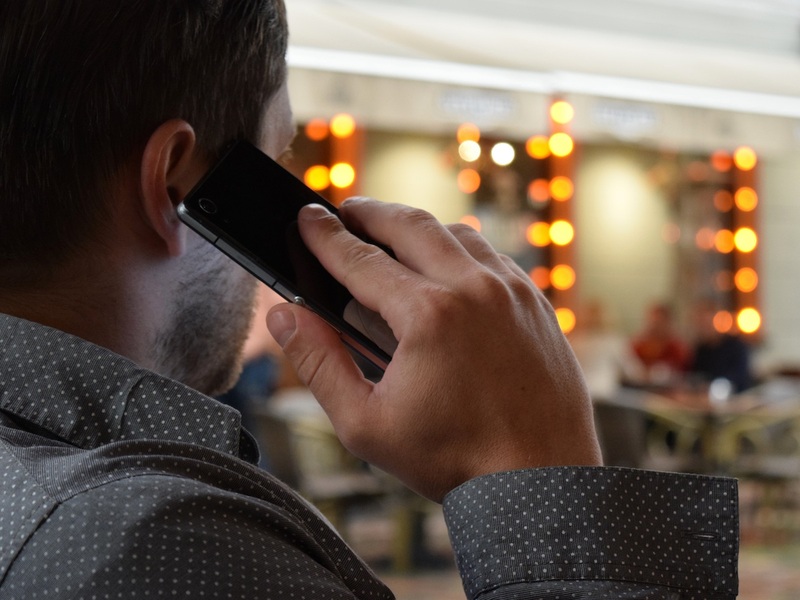 Modern cloud-based voicemail services piggyback off wireless carrier technologies, allowing them to seamlessly integrate with mobile providers and the smartphones you already use on a daily basis. Simply port your existing phone number to your new cloud-based voicemail solution and your messages will be archived and transcribed, allowing you to read and process them from any device you might be using throughout your workday. The true benefit of a business-class cloud-based voicemail service is the knowledge that your important messages are retained and preserved, allowing you to access them from anywhere without hassle or complication. Data preservation in the 21st century is key, and knowing that your business voicemail messages are kept securely offsite is an obvious benefit. If you’ve used an iPhone, you know the frustrating aspects of the auto-generated transcription readouts of incoming voicemail messages. Not only are they inaccurate, but they often fumble on proper names and phone numbers - which are arguably the most critical aspect of a voicemail message. With a professional cloud-based voicemail solution, this issue is instantly and reliably resolved. By utilizing cutting-edge machine-learning software combined with the precision only available with human transcriptionists, your business can flow with highly-accurate voicemail transcriptions for your team to easily process and act upon. While many enterprise cloud-based solutions require an upfront or large monthly cost for service, the democratization of technology has allowed smaller firms to step up and provide equal results at a fraction of the cost - a major benefit to a small business owner. With some services starting at just $9.99 per month, you can access your business voicemails from any device with hyper-accurate transcriptions for easy consumption. Plans can grow and increase as your business expands, so you’ll never be without the benefits of a cloud-based phone system, no matter how fast you may grow. By subscribing to an ongoing service plan with a cloud-based voicemail provider, you eliminate the need for on-site maintenance of phone systems and the expensive hardware required for their operation. And if hardware failure should occur, the provider is responsible for their maintenance and upkeep, keeping your costs low and your service running uninterrupted. Flexibility and agility are two key phrases every small business owner loves. Because of the nature of business and the trepidation that occurs with a small business owner’s day-to-day life, knowing you have the ability to scale back or upgrade your cloud-based voicemail systems at the drop of a hat is a major benefit. While you may not know what direction the wind may blow tomorrow, you can rest assured your voicemail provider is ready to move with you at a moment’s notice. Let’s say a major publisher writes about your business and all of a sudden, the phone is ringing off the hook with new inquiries and questions. Having a sudden influx of calls may sound incredibly attractive to a small business owner, the strain this puts on your company shouldn’t be understated. A huge increase in call volume can cripple a sales team or customer service crew, delaying both potential and current clients from speaking with your team directly. With a cloud-based voicemail solution, your team will be able to quickly process and prioritize both sales and customer service requests, directing them to the appropriate agent to continue the discussion. Rather than listening to every incoming voicemail message, your team can read an accurate, reliable transcription of the message and respond accordingly. How’s that for agile? If you’re a small or medium-sized business looking for a flexible partner to handle your incoming voicemail messages in a cost-effective manner, giving Phone Cloud Hub a try may be the solution you’re seeking. With plans starting at just $9.99 per month and a 14-day risk-free trial, there’s never been a better time to take a hard look at your current voicemail solution and make a change for the better. Contact us to speak with a representative or get started with your free trial today!